There’s a lot going on in Toronto transit-wise and especially in our neck of the woods. Six meetings are being held across the city to discuss transit – the closest will be at Richview Collegiate this Saturday. 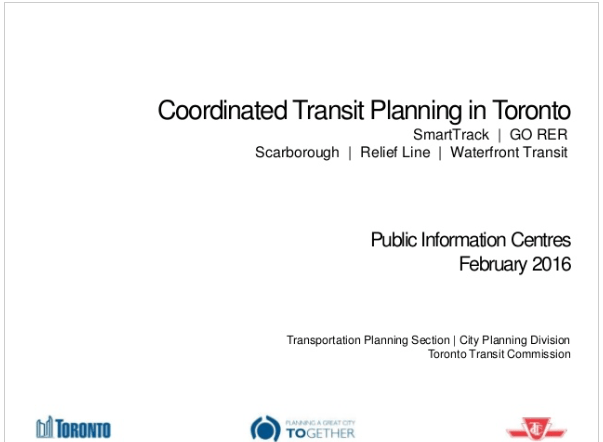 Come and hear the latest transit ideas, updates on transit planning and construction going on throughout the city and contribute opinions on the direction the city, Metrolinx and the TTC should be taking. No doubt there will be considerable interest in the new UP Express fares as well as electrification of GO Trains.